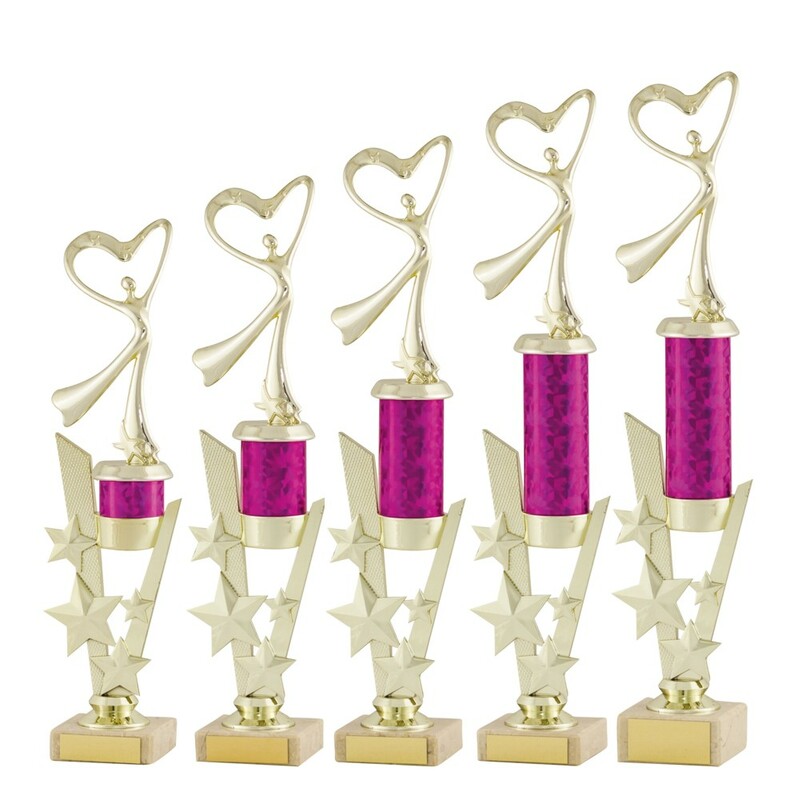 Large Gold and Pink Modern Dance Awards. Available in 5 sizes, 340mm, 360mm, 390mm, 410mm and 430mm high. Gold elegant dance figure on pink tubing and a gold star riser mounted onto a heavy cream marble base.